Tech giant brands overhaul as "fitness program"
The tech giant will reassign some employees and offer early retirement to others, but still expects its overall head count to exceed 100,000 by the end of 2019, up from 96,500 at the turn of the year. The shake-up comes as SAP announced an 11 per cent increase in 2018 non-IFRS revenues, at constant currencies, that beat its thrice-raised guidance. 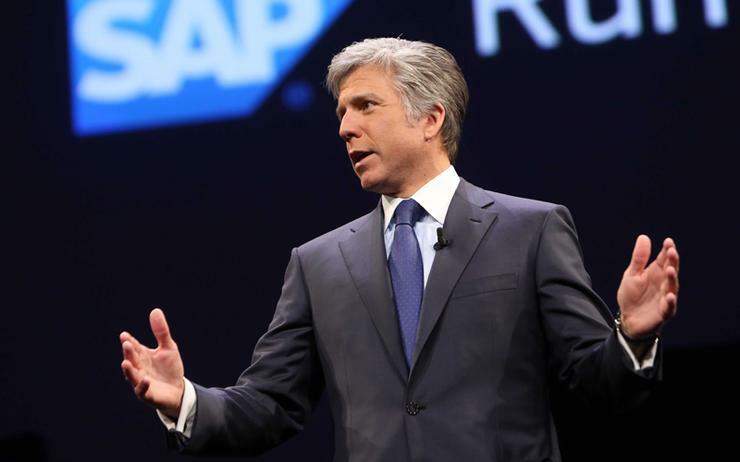 Operating profits rose 10 per cent, in line with SAP's own expectations. Yet key indicators showed signs of weakness in the fourth quarter, with growth in new cloud bookings slowing to 23 per cent from 37 per cent in the third quarter. Underlying non-IFRS operating margins, at constant currency, were squeezed by 1.5 percentage points in the quarter to 33.2 per cent as SAP implemented hyperinflation accounting for crisis-hit markets in Latin America such as Venezuela. Mucic noted that margins were stable at 28.8 per cent for 2018 as a whole following years of declines as the company invested in its transformation. "Now we are at the point where we can start to see rising margins," he told a news conference. The figures illustrated the challenge that SAP continues to face as it makes the transition from its traditional model of running business processes such as finance or logistics at on-premise servers to hosting them in remote data centres. The legacy software license business, which generates chunky up-front fees, continues to throw off profits. Cloud is driving growth, meanwhile, but margins are tighter as SAP seeks scale and competes with rivals such as Salesforce and Oracle, exerting pressure on the overall 'mixed' margin that the company reports. McDermott, a 57-year-old American, played down concerns that the weakening global economy and U.S.-China trade frictions might dent SAP's business, saying his company was not as exposed to the economic cycle as technology hardware players. "We're not seeing that," said McDermott, adding that individual risk factors, such as Britain's looming exit from the European Union, were offset by the company's global reach. Shares were down 1.3 per cent at 91.12 euros by 1024 GMT, underperforming the blue-chip DAX index which was broadly unchanged. "The one surprise for us is the announcement of a major restructuring program in FY19," analysts at Credit Suisse said. "It seems likely that the vast majority (of cost savings) will be reinvested back in the business," they said. SAP, which has just closed its US$8 billion takeover of Qualtrics, a U.S. company that tracks customer sentiment online, baked the impact of that deal into raised 2019 revenue guidance of 28.6 to 29.2 billion euros. But it kept its forecast of non-IFRS operating profit unchanged at 8.5 to 9.0 billion euros, up 7.5 to 11.5 per cent year on year. McDermott said that Qualtrics would add a "customer experience" dimension to SAP's core strengths. The combination "becomes the defining strategy for the winning company in the 21st century", he said. Giving its first forecasts for 2023 ahead of a capital markets day in New York on 7 February, SAP said it expected to more than triple cloud subscription and support revenues. Total revenues would reach 35 billion euros and operating profits would outgrow revenues to expand at an annual rate of 7.5 to 10 per cent.